Start Date: All Year Round. Heads and aspiring heads of history, primary history coordinators, secondary and primary history Quality Mark schools and subject leaders. This course will help you to provide positive development to the history provision in your school. Whether you're looking for inspiration or reassurance, then this is the right professional development for you and your school. The Quality Mark programme for history has been an exciting undertaking and has highlighted wonderful examples of innovative, creative and rigorous design, planning, delivery, enrichment, communication, feedback, community work and so much more! Our QM assessors have felt so inspired by their collective experience that we have specifically designed a brand new CPD session to share some of great practice out there. Of course, identifying great practice also comes out of experiencing less desirable practice, and given their wide ranging collective experience, our QM assessors have an extensive pool to draw from and share. This course will bring together QM assessors and school staff to develop the skills needed to drive forward professional development and achievement to create outstanding history in your school. Delegates will be able to access and use the knowledge gained to develop exceptional provision in their school and apply for Quality Mark status if they wish. This professional development course is ideal for those currently participating in the Quality Mark, aspiring towards the Quality Mark or equally for those just looking for guidance or reassurance. You do not have to complete the Quality Mark for history or aspire to complete the award to benefit from this course. Tailored to your needs, the course consists of 2 twilight professional development sessions, each lasting approximately 2 hours. Session one: Highly structured and will be led by your course leader based upon the agreed focus. Session two: A structured session that allows opportunities for discussion and reflection from the previous session. As well as providing opportunity to apply ideas and thinking to current or new projects. Any sessions can be designed in liaison with the school/s according to needs, but an example of some of the sessions that could be offered follow below. Developing an aspect - an opportunity to delve into depth one or, at most, two aspects for development agreed with the school, eg. teaching and learning, curriculum, assessment, enrichment, progression, subject organisation and management. The session will unpick some of the meaning behind these by looking at specific examples of good and effective practice. It will also cover current issues such as adaptation to a new curriculum and changes to examinations. How the subject leader/head of department can enhance history in the school? Using case studies, this session will identify some of the key features Quality Mark assessors have found that could be developed by those responsible for the subject. It can examine many of the most impressive features of earlier visits comparing them with some of the aspects that have not impressed. 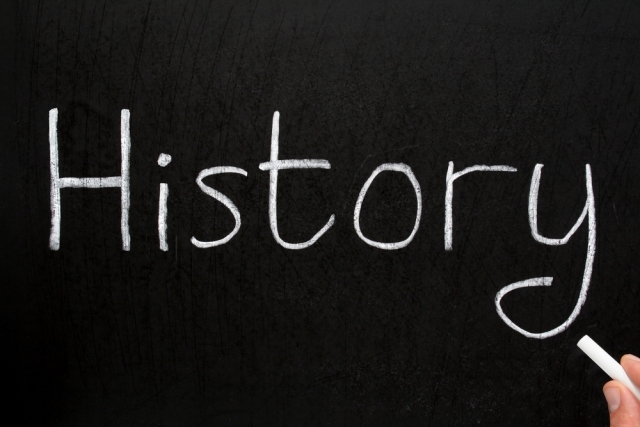 Motivating history in the school - using examples from the Quality Mark, this session will examine some of the teaching, learning and methodology that have motivated pupils of different ages and abilities. Evidence will be used including pupil voice. The sessions will include some of the best examples of enrichment and consider how such activities have contributed to successful history in the school. Quality Mark Support and Preparation - an interactive guide to the QM where schools can understand and clarify aspects of the QM including the portfolio and the visit seeing examples of good document and the type of features that impressed assessors. The balance of the programme can be agreed with individual schools. Sessions are offered on a sliding scale depending upon the number of people attending the session. Sessions can be booked by individuals, departments, whole schools or groups of schools/federations. Sessions are priced at £400 plus expenses in total for the 2 sessions. This will be a base price for any group of up to 15 participants. We can accept larger groups, please contact us for details. Please state which option you wish to book for, your geographical area and the number of participants.